Your Android smartphone only stores the last 30 days of phone calls made or received. Your text messages are also a mess after a point, especially with contacts you talk to often. If you want to keep this data safely backed up, the new IFTTT for Android will automatically store them forever in your Google Drive. 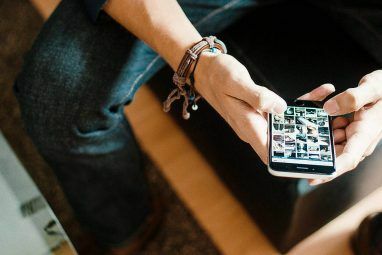 Of course, Titanium Backup is still the best backup solution for your Android smartphone How To Complete A Full Backup Of Your Android Phone [1.6+] How To Complete A Full Backup Of Your Android Phone [1.6+] I've been using Titanium Backup ever since I got my first Android device. I love backup applications (for PC and otherwise), and Titanium is as good as it gets. In this short introduction I’d like... Read More , but remember that’s paid and only for rooted phones. Plus, it only keeps the data safely and doesn’t turn it into an easily searchable spreadsheet. With the launch of IFTTT for Android, some users are already suggesting unusual automated recipes 5 Unusual IFTTT Recipes You May Not Have Thought Of 5 Unusual IFTTT Recipes You May Not Have Thought Of You've got the folks at IFTTT who make web automation look like childs play. It's quite impressive. I decided to finally start digging through IFTTT to see if I could come up with a few... Read More for the app. 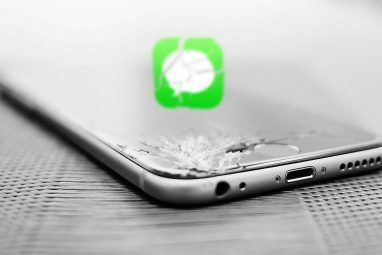 The folks at I Love Free Software came up with the idea of backing up phone logs, and we decided to take it further and back up our text messages while at it. The process to backup your phone logs is pretty simple. Fire up the IFTTT for Android app and create a new recipe. To backup all your phone logs, we will be creating three different recipes—one for missed calls, another for received calls, and the third for calls you place. Tap the channel for “IF”. Scroll to select “Android Phone Call” and tap the blue plus sign next to “Any phone call placed”. Tap the channel for “Then”. Scroll to select “Google Drive” and tap the blue plus sign next to “Add row to spreadsheet”. Choose whether you want to receive notifications or not when the recipe runs and hit Finish. As you can see, it logs the date and time, the phone number (blurred in above image), the contact, and the duration of the call. In the recipe’s settings, you can change these elements or their order. 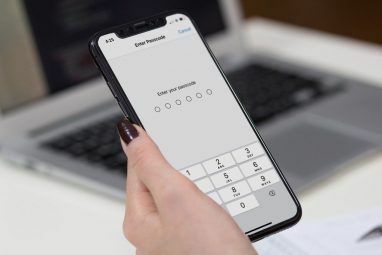 Using the same method, you can also create new spreadsheets for phone calls answered and phone calls missed, selecting those in the first step. Note that this only backs up the call logs and does not record the phone call itself. You need a different method to automatically record calls and never run out of space How to Automatically Record Calls on Android and Never Run out of Space How to Automatically Record Calls on Android and Never Run out of Space Recording phone calls is a great way to keep data for your records. Let's compare some apps that will do this on your Android phone. Read More . Backing up your SMS is similar to how you backup phone logs. Tap the channel for “IF”. Scroll to select “Android SMS” and tap the blue plus sign next to “Any new SMS received”. And just like that, a new spreadsheet will be created for all the SMSes you get from now on. Note that it does not work with MMS media. In total, you will get five different spreadsheets—three for calls (answered, placed, missed) and two for text messages (received, sent). This method does not cover older messages, but we have a workaround for that. Download and install SMS Backup & Restore from the Play Store, run it and follow the instructions to create a backup. Once that is done, you will find an option to export the backup as a CSV file. This CSV file can be opened in any spreadsheet app. Just copy and paste it into a Google Drive spreadsheet and you’re done! When it comes to the web, the ultimate IFTTT guide covers most scenarios you will need. But the automation app is new to Android and people are still discovering its many potentials. So if you have some cool IFTTT for Android recipe, share it in the comments below! Actually, besides cloud services backup, you can also backup your data from your phone to pc, use some desktop backup tools, which allows you to transfer data from phone to pc directly and easily. I recommend MobiKin Assistant for Android, it allows you to backup your android phone data to pc. I can backup android phone contacts to computer with some application .So I do not worry phone data lost.When deleted data ,easy to recover from backup files. I like it, but i have a small problem, i get the log duplicated, every phone call has written twice. I tried to erase rules and make it again, but it happens again. Any idea? List of best Android Backup apps are also listed in this page. But still, the IFTTT is new term that I learnt from this page. Thank You. This is very cool. I'm always looking for new ways to backup my Android info, I'll definitely be trying this now. Open source! Been using for years. Way Cool!! And to think that I paid $ for Tasker when this is way easier and (probably) more versatile! Thanks MUO. Is there an app like this that doesn't want to have access to all your details before you can use it. awesome ... just what I was looking for ! How can I do the same with WP8 Lumia phone and Onedrive Excel Office Web Apps? One of the first apps I install when I get a new phone or re-ROM! Having my texts synced to my Gmail means I have all of my communication history in one spot, easily searchable. I also love that it'll put my call log into my calendar. Exactly where THAT should be, too! I have been desperately looking for a way to backup texts. My only question is, Is there a way to consolidate them into ONE spreadsheet in a semi threaded/response format? Such as what i say on one line, other persons response on next, then me, etc. I'm trying to find a way to do that as it would be far more useful than having two separate, one for sent and one for received. 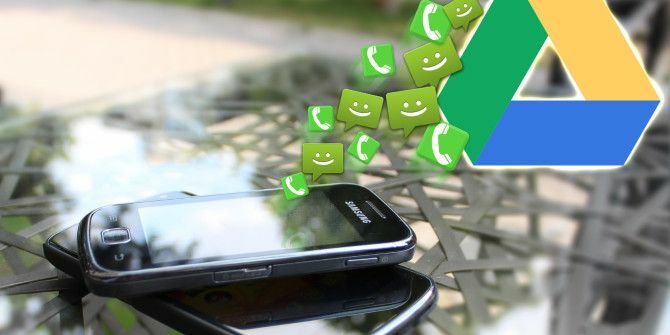 MySMS or MightyText can backup SMS and call log event to DropBox, Drive and EverNote... And if you have a flat data program on your smartphone, with these apps you can use web version and send SMS using a PC as you wrote them from your phone.